SounsAfrica – Go Rotary Club of Knysna! Just back from Rotary District 9350 Conference. Our SOUNS presentation went well, with Rotarian Annette Nelson (RC Knysna) and Rotarian Gavin Schachat (RC Sea Point). The audience gave Annette a special applause when she was announced as the Western Cape Province winner in her category of the National Teacher of the Year, specifically for her work championing SOUNS. Then, the next piece of good luck is that Rotary Club of Knysna won the Len Breen Trophy for the best community project in the District, also SOUNS! So that is a feather in our caps! Two separate recognitions from two different sources, and all because it is a method that works! And an organization that is serious about education, and literacy – Rotary! 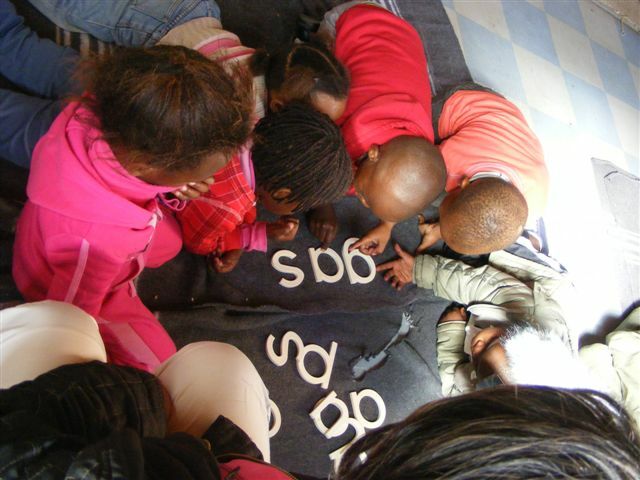 This entry was posted in Uncategorized and tagged District 9350, early literacy, Rotary, Souns, South Africa. Bookmark the permalink.